You are here: Home / Get in Surfer Shape! Let’s shake things up, literally! SURFSET Fitness is all about getting away from the traditional static workout and challenging your body in new ways. Every exercise on the board is designed to engage your core & stabilizer muscles and shock the system to create real change inside & out. PROGRESSION is the name of the game. Our workouts are designed with a built-in facility to continually challenge & push through plateaus. You will be amazed how quickly you can improve, even by the end of your first session! A surfer is lean without looking weak, and muscular without the bulk. Sharp muscle lines are perfectly symmetrical, and overall body balance creates that enviable athletic physique. Paddling builds shoulder definition, strengthens the lower back muscles, and increases cardiovascular fitness. Duck-diving through waves builds arm strength, creating well defined triceps. The pop-up maneuver engages the core and pectoral muscles, and helps to build explosive power. And the actual process of standing and riding the wave increases leg strength, flexibility, and engages all the postural muscles. If you’re looking for a workout that builds up your muscles, SURFSET Fitness offers strength training coupled with a lot of fun! And don’t worry about getting a lot of bulk – SURFSET Fitness builds long, lean muscles that are nicely defined, without adding excessive bulk. Everything stems from the core. SURFSET Fitness will turn your abs into a six-pack powerhouse through instability training that requires focus & control. Balance is a integral aspect of a SURFSET workout; there’s really no better way to train those stabilizing muscles than atop a wobbly surf board! Intervals of high-intensity aerobic training on the board will build your endurance & torch body fat. We believe that short bursts of high energy are the most effective way to change the shape of your body without causing overuse injuries or allowing your system to adapt and plateau. Surfers are the perfect picture of long & lean. SURFSET Fitness promotes compound & functional movements that challenge all the tiny little stabilizers in your body along with the major muscle groups. This shapes and sculpts toned, lean and strong muscles through your body, and revs up your metabolism. Shake up the way you look and the way you work out. SURFSET Fitness is a fun, new, extreme surf-inspired workout that mimics the movements of surfing without the water. Surfers possess total body strength, from their long lean muscles to their ripped abs. The SURFSET Fitness workout gives you the tools to carve the surfer body you have always wanted by integrating balance, core strength, cardio, flexibility, agility, and power – all while torching unwanted body fat in high intensity intervals. The program combines rotational core training with isometric movements to build a lean torso, and gets the heart rate elevated with surf-inspired moves. Imagine combining the cardio benefits of spinning with the strength and versatility of TRX® suspension training and the fun had in a Zumba class, but all on an unstable surface. 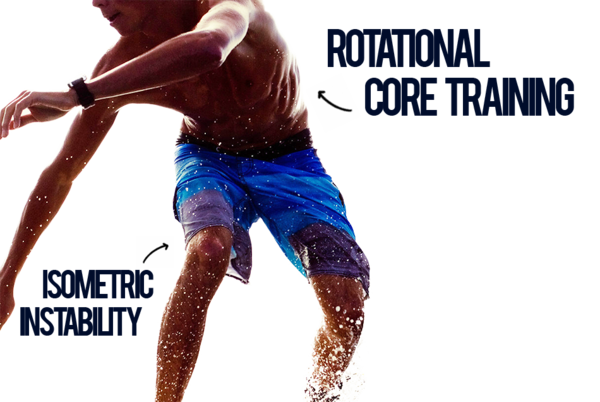 The instability of the SURFSET board will improve your athleticism by forcing your core to constantly react to a dynamically shifting platform. Although we paddle out to the ocean anytime we get the chance, the benefits of a single SURFSET session make being on land worth it, burning anywhere from 500-900 calories in just 45 minutes – the same results you would get from a few hours of surfing. Who should do SURFSET Fitness? Anyone who wants to break out of their traditional workout routine & shake things up to start seeing real results will love SURFSET Fitness. It’s also a great way for surfers and snowboarders looking to stay conditioned all year round, or to get ready before surfing or snowboarding seasons. People going for recreational surfing or snowboarding trips will also benefit from improved fitness and balance – this helps maximize the time enjoying the sport! The adjustability of the board and built-in progression of the program makes SURFSET Fitness an awesome class for anyone from the true beginner to the extreme athlete.